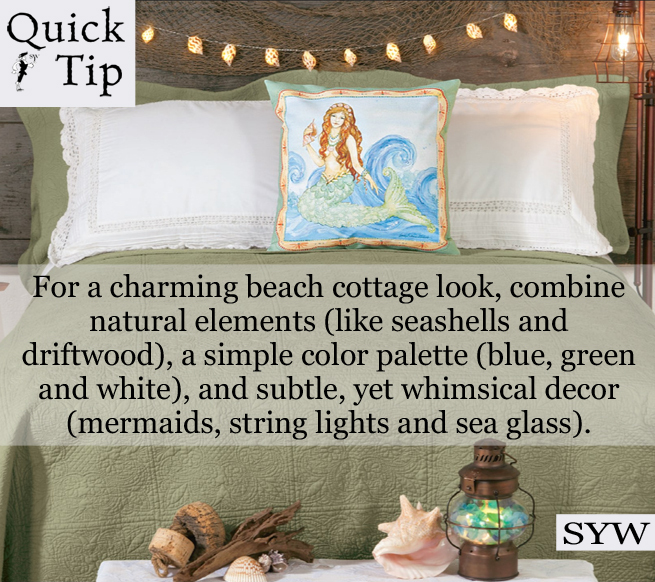 For a charming beach cottage look, combine natural elements, like seashells and driftwood, with a simple color palette – two or three colors, like blue, green and white – and subtle, yet whimsical decor, like a mermaid accent pillow, seashell string lights and sea glass. 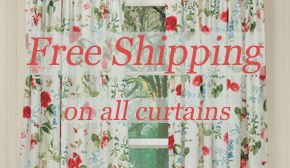 This entry was posted on Thursday, June 1st, 2017 at 1:57 pm	and is filed under Apartment, Bedroom, Decorating, Lamps and Lighting, Pillows, Quick Tips, Thematic. You can follow any responses to this entry through the RSS 2.0 feed. You can leave a response, or trackback from your own site.